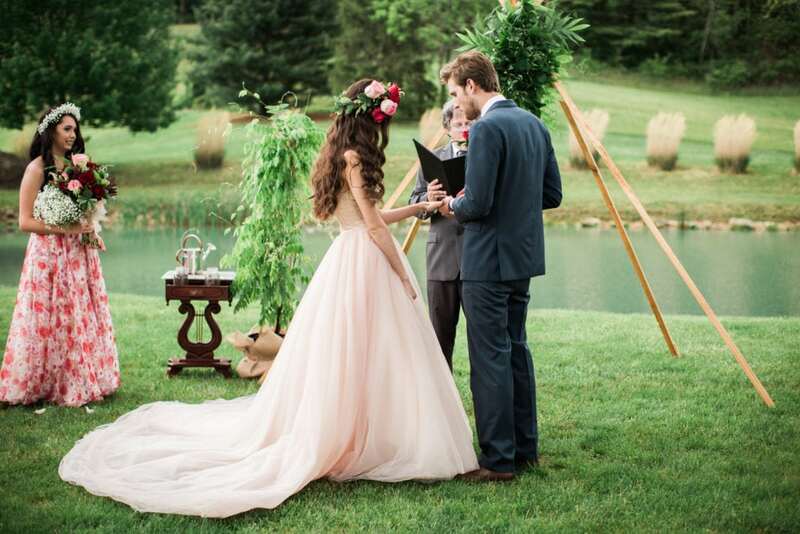 If you are considering a blush themed wedding ceremony, we have the perfect inspiration for you! 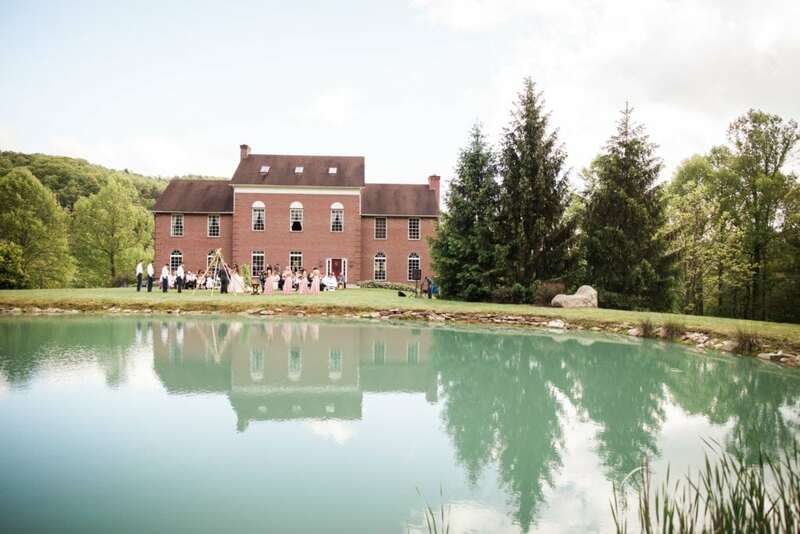 Real couple Jessilon and Joel were married at the Foxwood Inn Bed and Breakfast in Flatop, West Virginia, a picturesque bed and breakfast nestled among pine trees and a lovely lake in West Virginia. 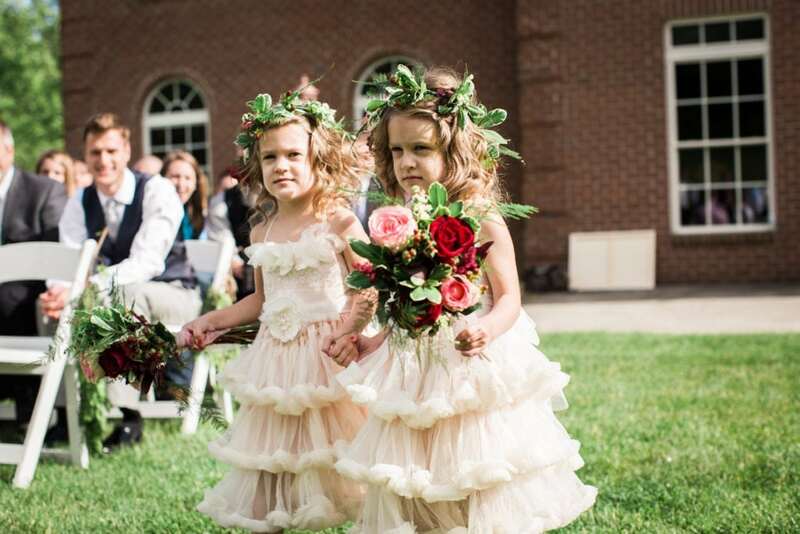 Jessilon chose a blush pink wedding gown and placed a crown of colorful blooms on her head in lieu of a veil. Her strapless dress featured her beautiful shoulders covered only by a cascade of her chestnut brown hair. 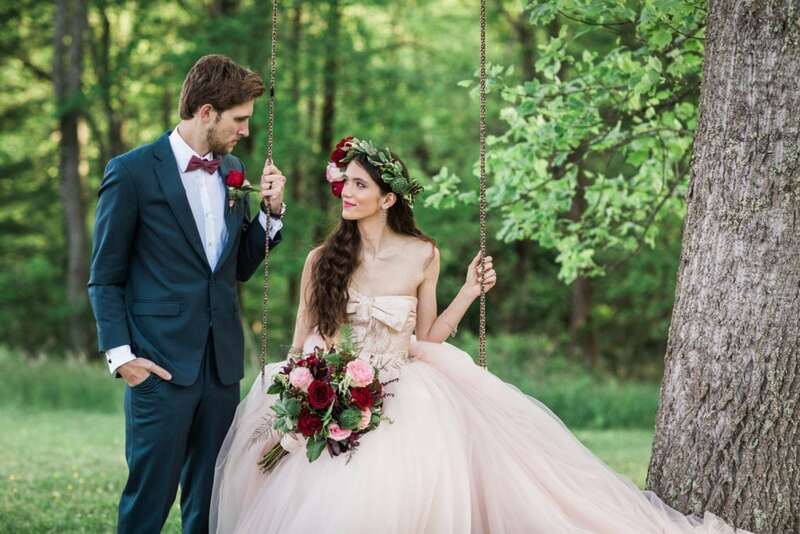 The green of the grass and surrounding forest added the earthy element, which served to highlight the vibrant colors of her wedding. 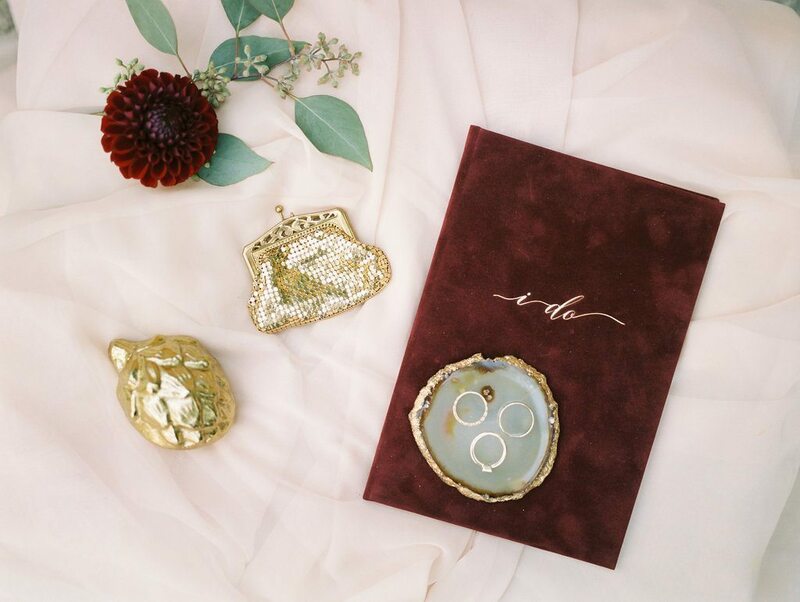 Our burgundy flocked velvet vow book is the perfect choice for a blush themed wedding!